As you grow up, you collect your friends, the ones you know will be around for life. I'm constantly reflecting on how lucky I am for the friends I have, as I get older I might not get to see them as much, but when I do, things just fit. Alicia, Tell us a little bit about yourself? Well first and foremost, I just love food and everything about it. Cooking, baking and creating food with my friends and family has been a HUGE part of my life since day dot. In the wise words of my mother, I follow the mantra of 'moderation' when it comes to both food and life in general, following a whole of life, realistic approach to nutrition- getting back to the basics! I feel so fortunate to be able to make food my career. When I’m not playing basketball, practising yoga or making some epic feast in the kitchen, (thanks, Fiancé Dave for being an extraordinary guinea pig) I’m living the #corporatelife as a dietitian for a food business. As I’m sure many of you can appreciate #corporatelife doesn’t provide many creative outlets nor offer opportunities for true social connectedness. Hence earlier this year, I took the big leap of faith to start my own little adventure with a very good friend. Enter Wellness In Real Life. We’re the baby mama’s of this social enterprise with the goal of creating a community that encourages people to come together in a safe, fun, familiar environment to share their experiences and learn about wellness. It’s a new chapter in the life of Alicia and I seriously can’t wait for what the future holds! You’re taking me back to uni days here, essentially- dietitians are food and nutrition experts. We undertake 4-5 years of university studies including significant theory and supervised patient training to provide individual dietary counselling, medical nutrition therapy, group dietary therapy and food service management. Most end up working in hospitals treating critically ill people. But we occasionally do branch out into spaces such as public health, food industry, community, sports and private practice. You aren’t currently living in Newcastle, why hold an event here? You’re originally a local right? You’re right, originally a local, Merewether bred (not born). They say you can’t take the Newy out of the girI and it’s true- people at work always pull me up on Newy slang- “that’s heaps good”! About 7 years ago I decided that I’d fallen in love with the city of Melbourne and made the move down south! Do you blame me? It’s the most liveable city in the world! So why run a workshop in Newcastle? We ran our first ever workshop in Melbourne and were overwhelmed with the support of friends and family. Afterwards, I got talking to many of my friends and family back home- they were all so encouraging about bringing our gut loving workshop up north that we thought ‘what the heck?’ so we did! There’s a real community spirit in Newcastle that aligns very much with our mantra of ‘bringing people together’ so it just felt right! So you know how people always say “you are what you eat”? It’s never been more true about the living, breathing community that inhabits your gut! Gut health has really blown up as a viral conversation in the nutrition stratosphere over the past 12 months. So we’ve developed a gut-loving workshop to guide people through their digestive systems from the brain all the way to the bowl (toilet that is). If you’re feeling sluggish, always bloated and wonder why your tummy talks to you? You’ve come to the right place. You can join us and other like-minded people for a Saturday afternoon workshop. We will explore the foundations for good gut health, offer a great understanding of some common gut triggers and introduce you to the benefits of mindful eating. 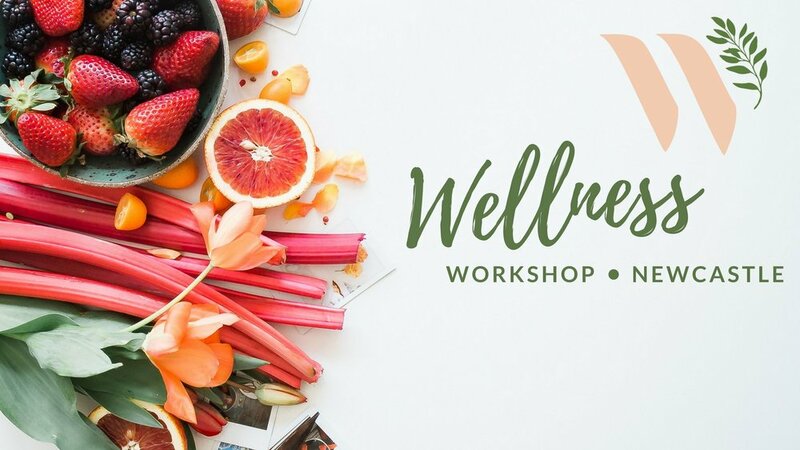 If you choose to come along, your time with us includes a 3-hour workshop, supporting resources & recipes, a gut lovin' afternoon tea, a take-home goodie bag plus 4 weeks of exclusive online content to follow. You might just learn a thing or two; it might just be what your gut's been asking you for all along! When you aren’t busy putting on events like this and you are hanging out in Newcastle, where do you like to go? When I visit Newcastle, it’s usually for an event or to see my beautiful friends and family! So I do spend a lot of time at the folks digs in Merewether. However, I am privy to the occasional coffee date at Drift Café, market stroll at the Olive Tree Markets, or a sun shinning walk from Merewether to Bar Beach! Ahhh Newcastle, how I miss the beach!